From google webmaster's video there are four types of backlinks you should be avoided. this was dictated by Matt Cuts whenever backlink to stay be as a benchmark and a referral from a website, from this expression that each backlink very meaningful to establish the authority of the website. but there are some exceptions you should to know that the incoming backlinks to your website should be a natural backlinks and has a value of relevant content and rich user experience is what you should consider. 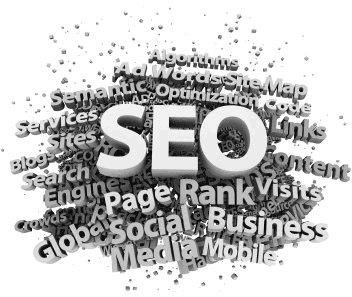 Google algorithms focus on the reputation of the website and specific pages. It is a determining factor when it comes if traffic remains on the page or just bounce. However, due to the fact that the algorithm is still rely on backlinks to help determine the authority or reputation of the web page they are still contributing factor to search the website if Google wants to admit it or not. "Google also wants to give more attention to pages written by experts in the field," said Cutts. "This means that the authorities will be more important for a web site. Does that mean that the author or another way Google can determine the experts and authorities still have we see, "he said. Markup scheme is not only a good way to improve rankings, such as those mentioned by Matt Cutts, but also a solid step for anyone interested in increasing the value of their content. According to Social Media Today, allows authors to build credibility by improving the reliability of search engine crawlers. Authorship improve visibility by providing personality in the list of search engines which leads to better click through rate. It also ensures your original content and mark to the top of search results and reduce plagiarism. Paid links or buying and selling links is the practice of backlinks are not liked by Google, because this action is an attempt to manipulate search engine, which is why paid links so hated by google. This action is a practice you should avoid because the links are not naturally activity and it is not very good, relevancy content factors is taken into account by google. if you are still using this method you should stop, before it comes too late. Guest Post can increase visibility and assist you in marketing scheme. But when a guest post becomes redundant efforts to collect backlinks then Google might take action to ban you. First consider the value of the content before posting on your site. Which one is the way that actually manipulate the search engines will not like this at all. if you are still using a generated link please avoid this. eventually if you continue this practice will get a real google sanctions. In conclusion: both increase backlinks and create all the natural backlinks all for your website good, and google authorship is an important role for the visibility of your website and protect your webiste of duplicate content. the latter naturally wake link only by the capacity of our own website. create a natural link safety measures from year to year.